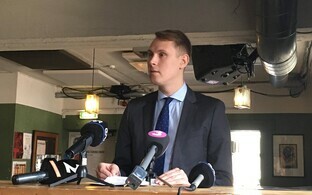 While the coalition lineup of the Centre Party, the Conservative People's Party of Estonia (EKRE) and Isamaa has been busy assigning both ministerial posts and Riigikogu committee chairs to its leading members, the de facto opposition, Reform, and the Social Democratic Party (SDE), have been doing the same, at least in regard to the committees. 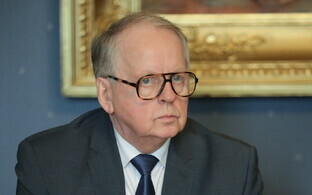 The various Riigikogu committees make up a large part of the legislature's day-to-day work. There are 11 standing committees at the Riigikogu as well as proposed additions to that under the would-be coalition's agreement. The standing committees cover state matters in their fields of specialisation, and their main task is discussing and preparing bills. Additionally, there are various select committees, conversely, are formed to perform specific functions. For instance, an Estonia-Israel committee was formed on Tuesday, and Reform's Keit Pentus-Rosimannus was appointed chair, BNS reports. Ms Pentus-Rosimannus first became an MP in 2007, and was foreign minister from November 2014 to July 2015 in Taavi Rõivas' (Reform) cabinet. The group seeks to maintain the strong working relationship the Estonian and Israeli governments already have, she said. "The cultural relations between our states are close, but both states have also made strong contributions to cybersecurity and IT,'' Ms Pentus-Rosimannus said. 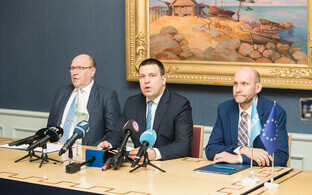 ''We intend to keep the inter-parliamentary focus on these fields in the new Riigikogu, too. Israel's experience in innovation and science is also something we will take a closer look at from the Estonian parliament's side," she added. "Estonia and Israel must both protect and develop their countries in a geo-politically complex region, and we both recognize the value of good allies," she continued. Estonia has long had close relations with the Israeli parliament, the Knesset. In 2018, the speaker of the Knesset, Yuli-Yoel Edelstein, made an official visit to Estonia, with then-Riigkogu speaker Eiki Nestor (SDE) making the return journey. Then-Vice Premier of Israel, Shimon Peres (1923-2016), visited Estonia in 2007, meeting with the Estonian president and prime minister of the time, Toomas Hendrik Ilves and Andrus Ansip (Reform). He also opened the newly-built Tallinn Synagogue during his visit. Meanwhile, the other ''opposition'' party, SDE, has assigned positions to its leading members in Riigikogu standing committees. Party leader and parliamentary group chair Jevgeni Ossinovski will be part of the environment committee, BNS reports, citing party spokespersons. Outgoing interior minister Kaitri Raik is to join the cultural affairs committee, MEP Ivari Padar the rural affairs committee, Kalvi Kõva the economic affairs committee and outgoing culture minister Indrek Saar the constitutional committee. Outgoing health minister Riina Sikkut is to serve on the finance committee, number one candidate at the European elections, Marina Kaljurand, on the national defence committee and Helmen Kütt the social affairs committee, the party says. Outgoing foreign minister Sven Mikser is earmarked for the foreign affairs committee, and Heljo Pikhof the legal affairs committee. The appointments are not set in stone for two reasons. First, some of the SDE candidates, including as noted Marina Kaljurand, are to run in May's European parliamentary elections; anyone winning and taking up a seat could not sit at the Riigikogu as well. Furthermore, Reform and SDE themselves are forming the ''approved'' coalition lineup after Reform leader Kaja Kallas was appointed prime ministerial candidate by President Kersti Kaljulaid on Friday. Ms Kallas says she will unveil her coalition on 15 April, after which it is likely to go to the Riigikogu for voting. With 44 seats together, the two parties have already said they need another party to bring the total beyond the 51 seats needed for a majority in the 101-seat Riigikogu. However, since the only other three elected parties are locked into their own agreement, it seems unlikely the Reform-SDE pairing can expand, other than bringing over any dissident, independent MPs. One former Centre MP, Raimond Kaljulaid, quit the party on Friday, ostensibly on the issue of the deal with EKRE, though Kaja Kallas has not said anything about his position, other than she felt he was already quite a peripheral figure within Centre.